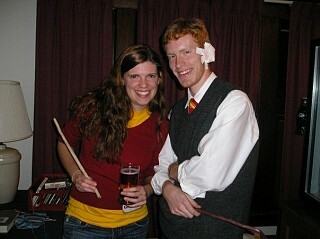 Everyone needs a good HP costume, and since I have red hair the weasleys are an obvious choice for me. 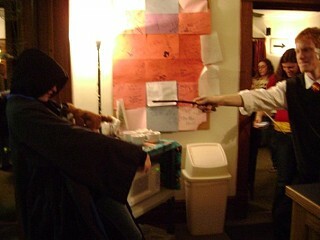 My school was hosting a Harry Potter Dinner to donate books to underprivelaged children so I was even dressing up for a good cause! Also, change my tie and I can be a random Ravenclaw! 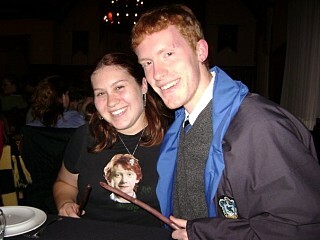 SlytherinBabe This is the best George Weasley cosplay I've seen yet.